It's been nearly a year since season 3 started and it's been a long year at that. Every year I like trying to improve Swoobles as much as possible.. but.. during the last year I feel like I have been fighting countless fixes to our already existing features (thanks for making things really hard Valve). Needless to say I'm behind where I would have liked to have been by this point, but even with all the set backs I still think there was good progress made over the year. The last year also brought on the most dedicated players we've had playing on a season yet. I'm sure everyone has been wanting to see what the rewards these dedicated players will receive so I'll go ahead and show you! A cloud aura for the top 5 global players, and little cloud/wind particle effects for the top 15 players of every server as long as they have 300 hours within said server. This year I'm also awarding the little cloud/wind particle effects to players with at least 500 hours global. Also, for season 1 and 2 the top 1 global player was awarded a title "Lord of S1/2". I'm actually going to be removing those titles since later this year I'll be changing how titles work completely. In place of those titles the top 1 global players of each season will get an effect for each time they kill another player. 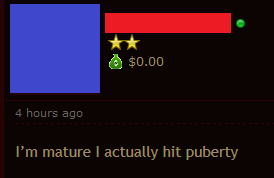 This is much more rewarding than a simple title, right? The video shows the effect for each season, I'll let you figure out which effect goes to which season. A new map voting system has been put into place on all of the servers (except pug). This new system allows for the much desired *no voting* option when you press 1. 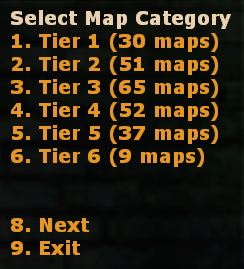 The system also allows for much more dynamic management of the maps so I can use it to do things like sort maps on the skill servers by tier, restrict maps by the number of players online, add maps to categories, and restrict map categories from being played too little or too much. Basically it's a load better than what we had before. It might still have bugs as I tried to write it as fast as possible to be ready for season 4, so if you find any please let me know. 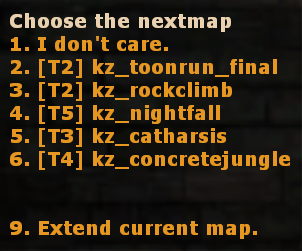 To go along with the map voting I also did an end of map transitioning effect system. Right now there are really only 2 effects, warping and being shot. I'll probably create more over time when I get bored. If you haven't seen the effects yet you probably aren't missing much, but they happen right when the map is about to change in case you want to check it out. I'm not sure when it happened but quite a while ago player names in the database stopped being UTF-8 encoded. This has finally been fixed which means from now on your names will be stored in the database properly. However, your broken name is still stored in the database as well; so you will need to play enough that the fixed version supersedes the broken version of your name. Some characters I fixed in the database manually. Oh yeah, you guys have less than 2 days before season 3 ends. Season 4 will start on June 15th so get your final hours in! To another great season :>! Also, why don't you try hiring a coder to help you Andrew if you haven't already? (06-13-2016, 07:31 PM)NotMario Wrote: To another great season :>! Also, why don't you try hiring a coder to help you Andrew if you haven't already? Trust / probably can't do what I want how I want. Quote: This year I'm also awarding the little cloud/wind particle effects to players with at least 500 hours global. I qualify for both the top 15 on multiple servers as well as 500+ global hours. I request my cloud and wind to be extra cloudy and extremely gusty. To another year of Swoobles. May we all join hands and beg Cthulu to manage to destroy jailbreak permanently. Great work Andrew! Glad to see you haven't given up despite Valve nearly trying to force every community server owner to abandon all hope. I like the new direction that Swoobles is headed, and can't wait to see how far you take this community. S3 survived. 97 more to go.